EAZA, the European Association of Zoos and Aquaria, represents and links member zoos and aquariums in 41 countries. Formed in 1992, EAZA’s mission is get members working together on important issues like education, research and conservation. EAZA promotes global biodiversity conservation; it’s estimated that more than 140 million people visit EAZA members each year, equivalent to approximately one in five European citizens. EAZA’s first conservation project, the Bushmeat Campaign, was launched in 2000. 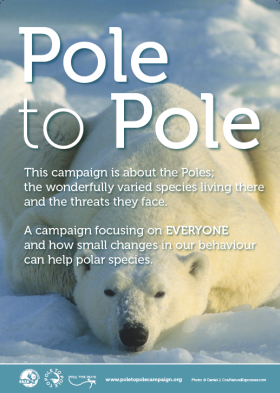 Since then their campaigns have addressed a variety of issues affecting a range of species and habitats. More than €3.8 million raised for conservation projects around the world, with increased awareness of issues creating further fundraising opportunities. Grants for more than 100 conservation projects made from EAZA campaign funds – with money still being awarded by some campaigns. New links established between EAZA and other conservation organisations, and between EAZA member institutions and individual conservation projects. Important regulatory change achieved with EAZA input, in particular relating to the bushmeat trade and apes. Messages about the importance of biodiversity conservation shared with hundreds of millions of zoo and aquarium visitors. For more information about the current and past campaigns, please click here.